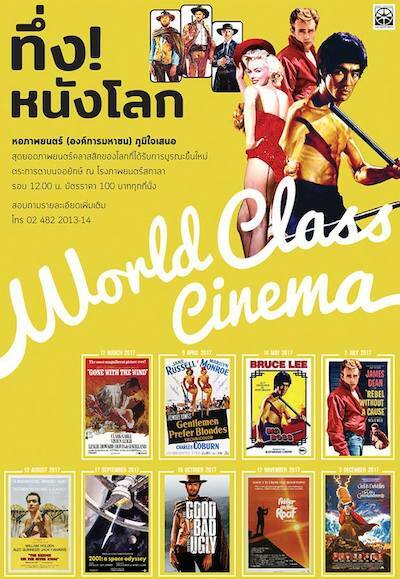 Following the Festival Of Classic Movies (2007) and เมื่อครั้งเสด็จฯ ทอดพระเนตร ภาพยนตร์ (2016), there will be another season of Hollywood classics showing in Bangkok this year. 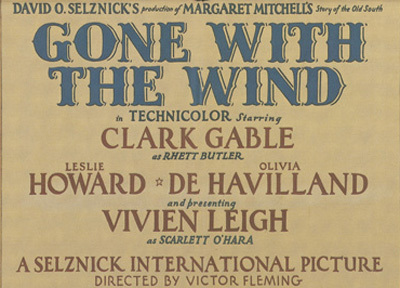 World Class Cinema will feature nine films, all screened at the Scala cinema, beginning with Victor Fleming's Gone With The Wind on 12th March. 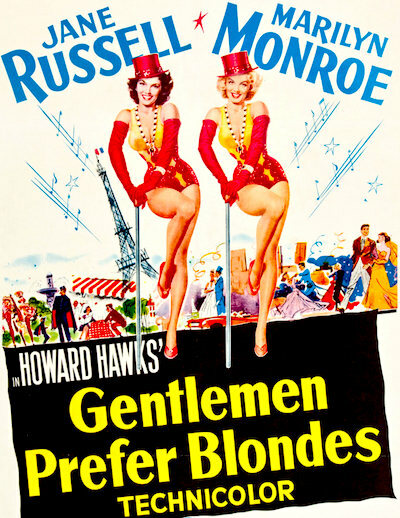 Other highlights include Howard Hawks' Gentlemen Prefer Blondes on 9th April; Nicholas Ray's Rebel Without A Cause on 2nd July; Stanley Kubrick's 2001: A Space Odyssey on 17th September; and Sergio Leone's The Good, The Bad, & The Ugly (the restored version) on 15th October. 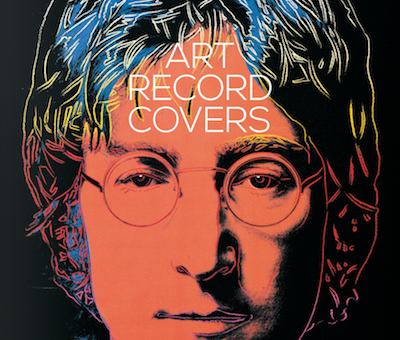 Art Record Covers, written by Francesco Spampinato and edited by Julius Wiedemann, features over 500 album covers designed since 1955. Rather than a guide to the greatest album covers (such as The Art Of The Album Cover by Richard Evans, or Album: Classic Sleeve Designs by Nick de Ville), it's the first survey of covers created by artists as opposed to graphic designers. Appropriately, this lavish and comprehensive book is almost the same size as a 12" LP. An injunction against The Sunday Times has been partially lifted after details of the case appeared in other publications at the weekend. The injunction, granted in December 2016, prevented The Sunday Times from revealing that David Beckham's email account had been hacked. 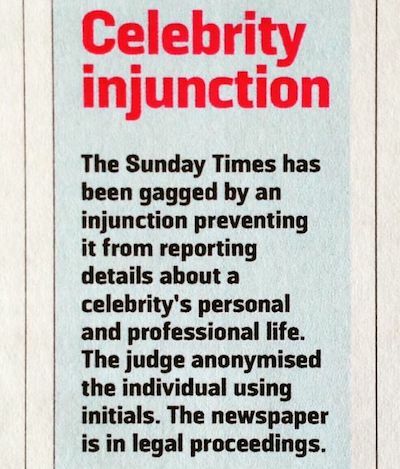 On 5th February, the newspaper printed a brief notice on its front page: "The Sunday Times has been gagged by an injunction preventing it from reporting details about a celebrity's personal and professional life. The judge anonymised the individual using initials." Beckham's emails were among thousands leaked to the German news magazine Der Spiegel earlier last year, and Beckham's publicist applied for an injunction after The Sunday Times planned to publish them. Like other anonymised injunctions (such as those relating to PJS, NEJ, RA, and D), the restriction applied only in England and Wales. Unusually, the injunction was granted solely against The Sunday Times, enabling The Sun (despite being owned by the same company) to publish the story on 4th February. On its front page, under the banner headline "BECKS C-WORD FURY AT 'SIR' SNUB", The Sun wrote that Beckham had criticised the committee recommending new year's honours as "a bunch of cunts" and "unappreciative cunts". This was then reported by other UK and European news websites later that day. The terms of the injunction against The Sunday Times were subsequently relaxed, allowing it to report information already in the public domain. The National Broadcasting and Telecommunications Commission has ordered Voice TV to suspend broadcasting The Daily Dose for seven days. In a majority decision, the NBTC ruled that The Daily Dose, a daily current affairs programme hosted by Nattakorn Devakula, featured politically divisive content in violation of an order issued to the media by the NCPO. The episode in question, broadcast on 23rd January, began with an assessment of the need for reform of the judiciary. (Contrary to a report in the Bangkok Post newspaper, the programme's 6th February episode was not the reason for the NBTC's ruling.) Voice TV, a digital terrestrial channel, is owned by Panthongthae Shinawatra, son of former Prime Minister Thaksin Shinawatra. 100 Manga Artists, written by Amano Masanao and edited by Julius Wiedemann, is a revised version of Manga Design, which was published by Taschen in 2004. The new edition was published this month in a more compact format. 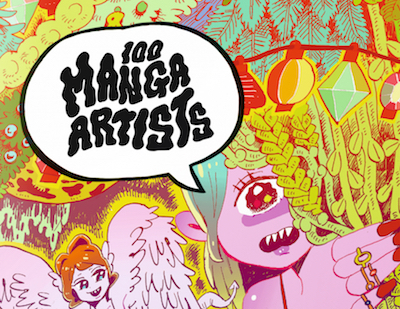 Manga Design profiled 140 artists, while the new book features only 100. (Osamu Tezuka, of course, appears in both editions.) Also, the DVD included with Manga Design does not come with 100 Manga Artists. Strangely, although Masanao and Wiedemann are both credited on the title page, only Wiedemann's name appears on the cover and spine. 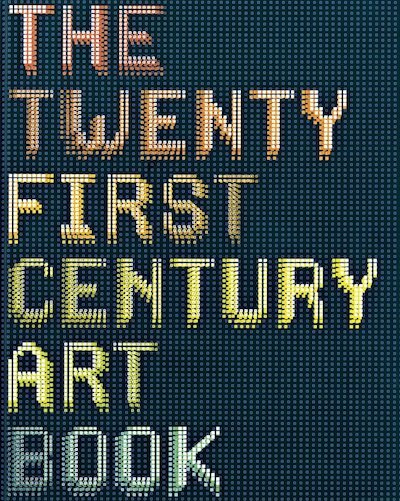 Wiedemann has edited numerous books for Taschen, including Art Record Covers, Logo Modernism, Information Graphics, and Understanding The World. 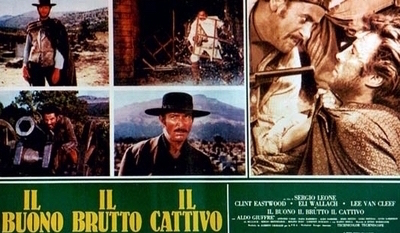 Crisis In Six Scenes begins with Woody Allen's character, writer SJ Munsinger, telling his barber: "I'm working on an idea for a television series now." This is the first time Allen has directed for television, and the series of six episodes was shown on Amazon Prime Video last year. In contrast to conventional sitcoms, the episodes are not self-contained, so the series would probably work if it was shown as a single film. 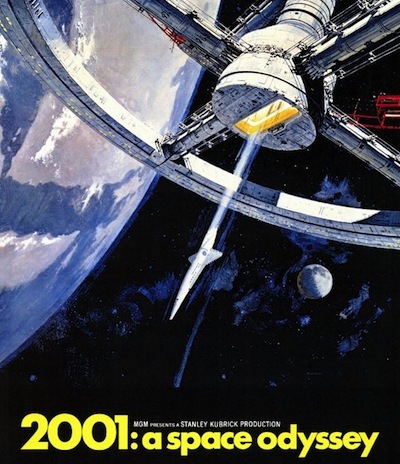 In fact, each episode is only twenty-three minutes long, so the entire series is as long as a standard film. In making a TV series, Allen is joining other directors such as Martin Scorsese (who directed the Boardwalk Empire pilot) and David Fincher (who directed the first two episodes of House Of Cards), though they are all following in the footsteps of Alfred Hitchcock Presents. Like House Of Cards, every episode of Crisis In Six Scenes was released simultaneously. Although Allen hasn't acted in his recent films, he appears in Crisis In Six Scenes as his familiar character, with his usual shtick. 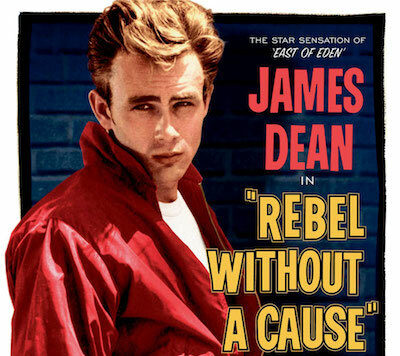 If you're already a fan (as I am), his performance will probably make the series worth watching, with the requisite one-liners about atheism, hypochondria, and neuroses. On the other hand, as episode one has virtually no plot, some viewers might stop watching before Miley Cyrus appears in episode two.